John Esdaile received his medical degree from McGill University, and had post-graduate training in internal medicine, immunology, and rheumatology in Montreal, Toronto, and England. John has served as Head of Rheumatology at McGill University and UBC. 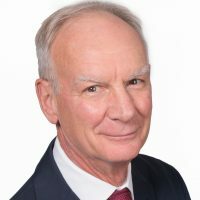 Dedicated to expanding Canada’s role in arthritis research, John was largely responsible for developing and establishing the Arthritis Research Centre of Canada/Arthrite-recherche Canada and has been its Scientific Director since its founding (1999). John’s areas of research interest include rheumatoid arthritis, osteoarthritis and systemic lupus erythematosus. He has focussed on early diagnosis and early intervention as key elements of improving outcome. In 2012, Arthritis Research Canada received the inaugural Institute of Musculoskeletal Health and Arthritis Knowledge Translation prize. John was named a Kirkland Foundation Scholar (2006) and elected a Fellow of the Canadian Academy of Health Sciences (2007). Awards include the 2009 Canadian Arthritis Network Consumer Champion Award, and the 2013 Jonas Salk Award.